You can upload your video onto a website like YouTube or Metacafe, and then add it to your page using the YouTube or Metacafe Widgets. 1. In your Sitebuilder, go to Widgets > Popular. 2. 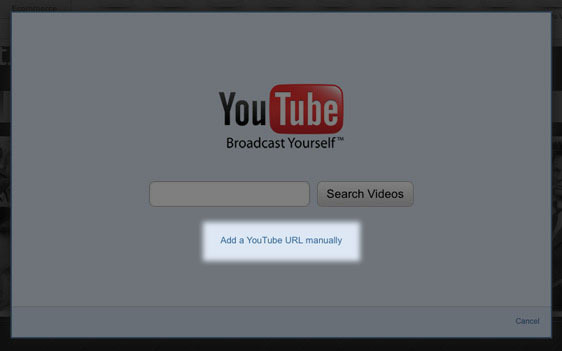 Drag and drop the YouTube Widget onto your page. 3. 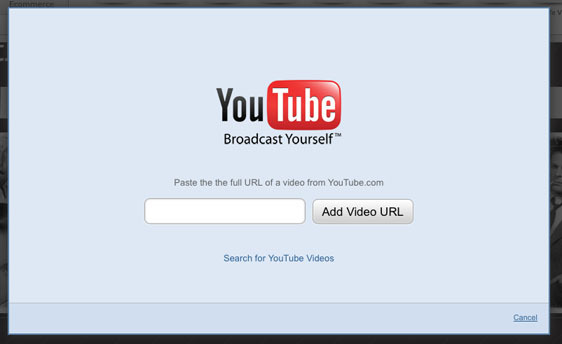 To search for a video: Type in your search criteria and click "Search Videos". From the search results select the video that you would like to add. 4. If you already have the URL of the video that you would like to use: Click on the blue link (located under the "Search" box) that says"Add a YouTube URL manually". Enter the URL of your video and click "Add video URL". 5. You will then be able to choose the alignment of your video and edit the margin. 6. Once you are ready to add your video, click "Save". In your Sitebuilder, go to Widgets > Media. Drag and drop a Metacafe Widget onto your page. In the dialog box that opens, paste the URL (in the address bar at the top - not the share link) for the Metacafe video that you would like to use. You can also search for a Metacafe video by clicking "Browse Metacafe". This will open the Metacafe website, and you can search for the URL of the video that you would like to use. 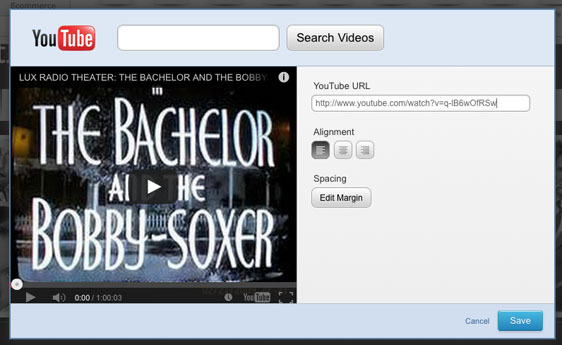 Copy and paste it into the "Video URL" field in the Metacafe Widget. Click on "Save" and the video will then be embedded in your web page. If you have found a video you would like to add to your page that's on another video-sharing site, you can copy the HTML embed code provided and add it to your page. For example, you could add a video from vimeo.com. Visit Vimeo's tutorial on Embedding Videos for more information. Once you have the HTML code, you can go into your Sitebuilder to Widgets > Popular. The HTML editor will open up that will allow you to write or paste your code. When you are done, click "Save" and you will see the video appear on your page.